NaBloPoMo – Day 20 – Getting ready for another show! Tomorrow marks another fundraiser at our elementary school – so come on by & shop local! I have a bunch of tote bags made from upcycled fabric, hair clips for the girls and infinity scarves that all make super gifts. I have also been making gift bags out of wallpaper so these items will be all ready to gift! 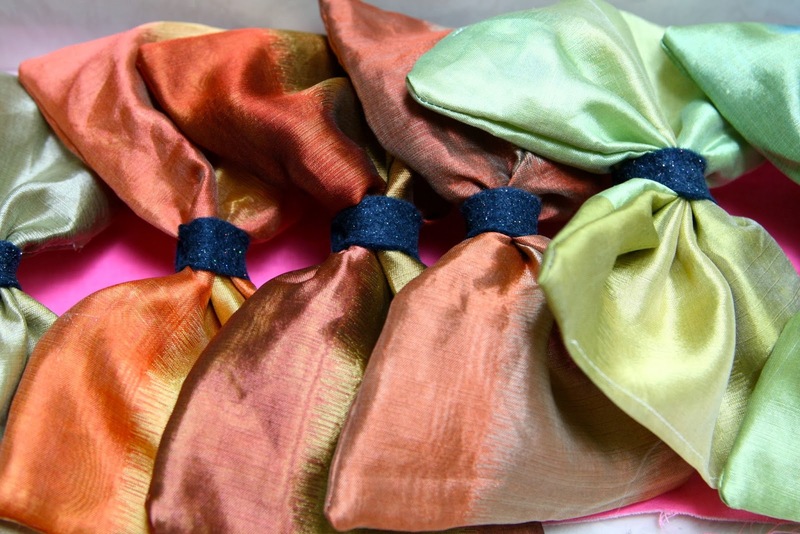 Here is a project I have been working on – big dramatic bows made from silk samples & they are stunning and super easy to make (well once you have done all the sewing!) I am sure they will be perfect for any holiday party and add a touch of whimsy to your holiday outfit.